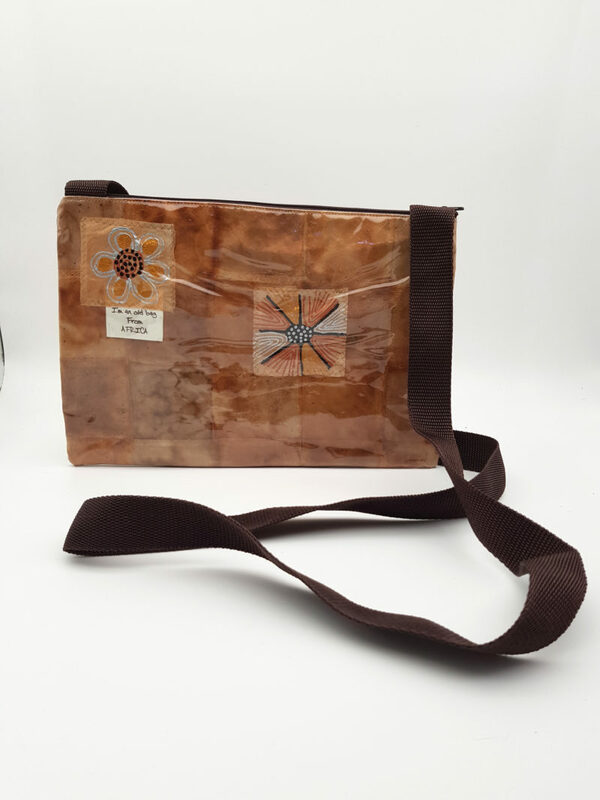 Gracious’s Sling bag is made out of recycled t-bags. This design is very popular and is one of our best sellers. T-Bag designs may differ to the product illustrated. The bag closes with a zip.